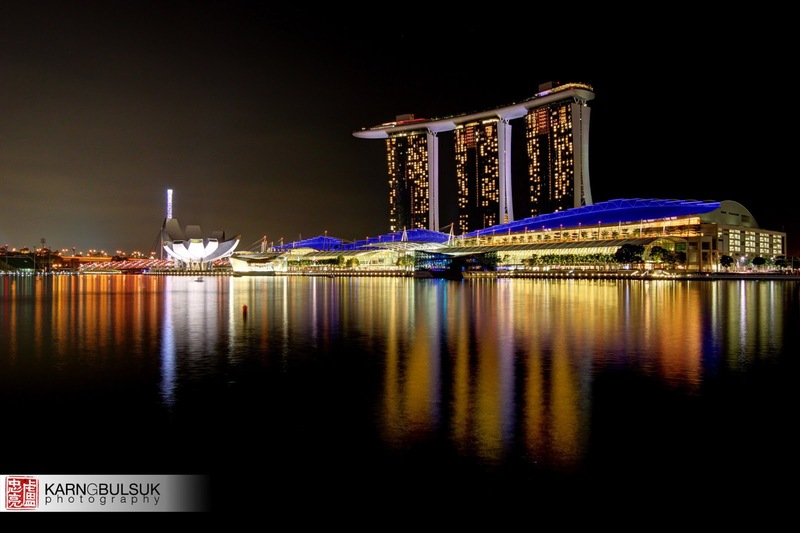 The Marina Bay Sands, connected by the Helix Bridge, makes for some wonderful night photography just across the water. As with all bright buildings, one exposure would entail getting a nice, bright shot with details washed out, or a shot with details intact but underexposed. HDR helps to even these out and if you download the full quality version of the picture, you can see a decent amount of detail inside the structure which is maintained.